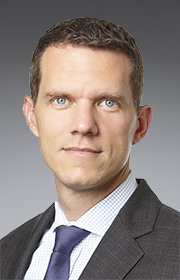 Alex Andreichuk – Tudor, Pickering, Holt & Co.
Alex Andreichuk is a Managing Director in Investment Banking focused on international energy clients. Alex joined the TPH International energy team in 2017 and has been with the Perella Weinberg Partners energy team since 2009 after joining from Credit Suisse’s European Energy Group. Prior to that Alex was an engineer with Parsons Brinckerhoff and served as a Captain in the United States Army in Asia, Europe and the Middle East. Alex received a BS in Civil Engineering and a BA in Anthropology from the University of Notre Dame, and an MBA from Harvard Business School. Our London office is an office of Tudor, Pickering, Holt & Co. International, LLP, authorized and regulated by the Financial Conduct Authority.